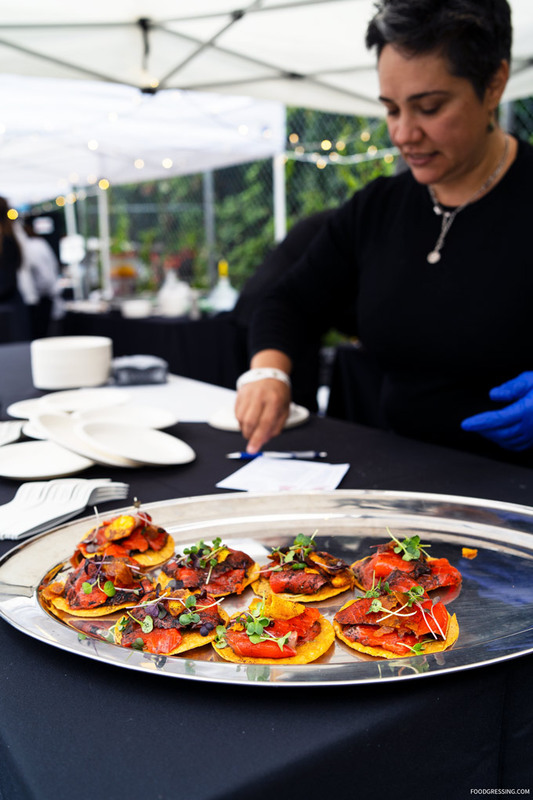 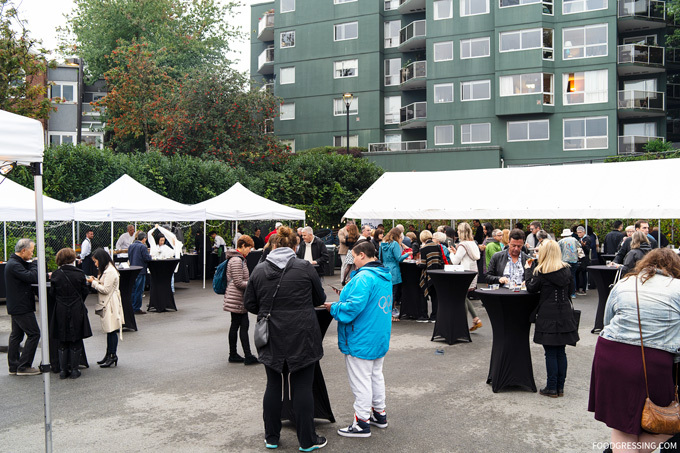 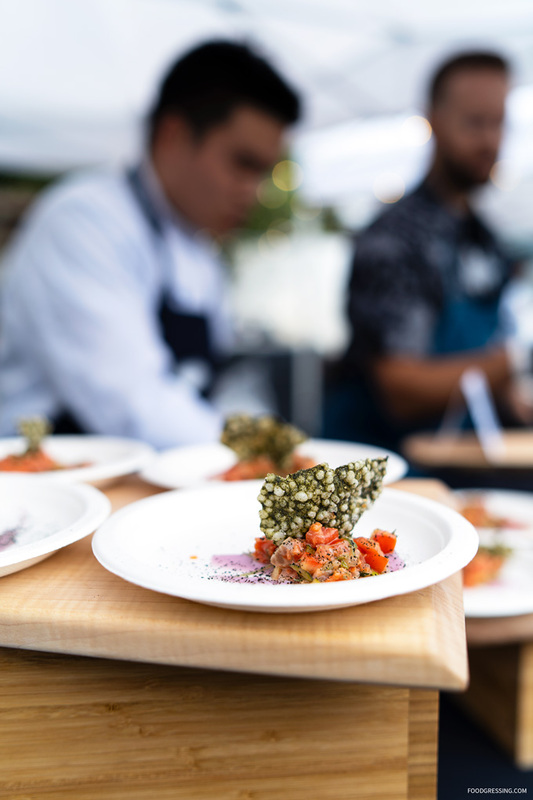 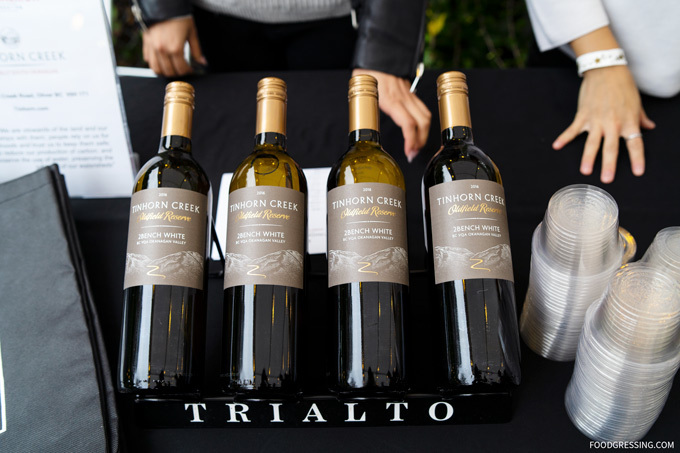 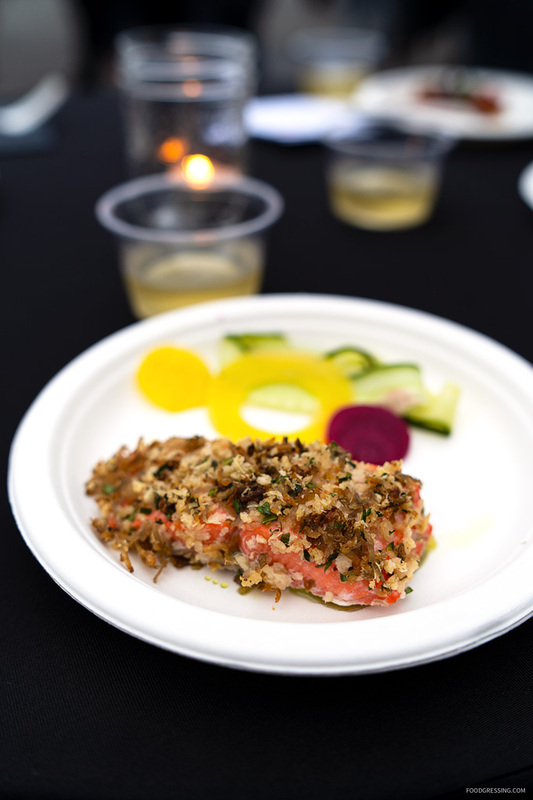 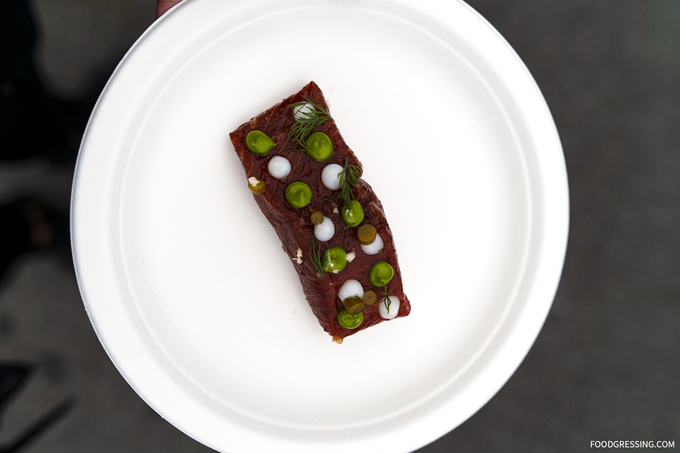 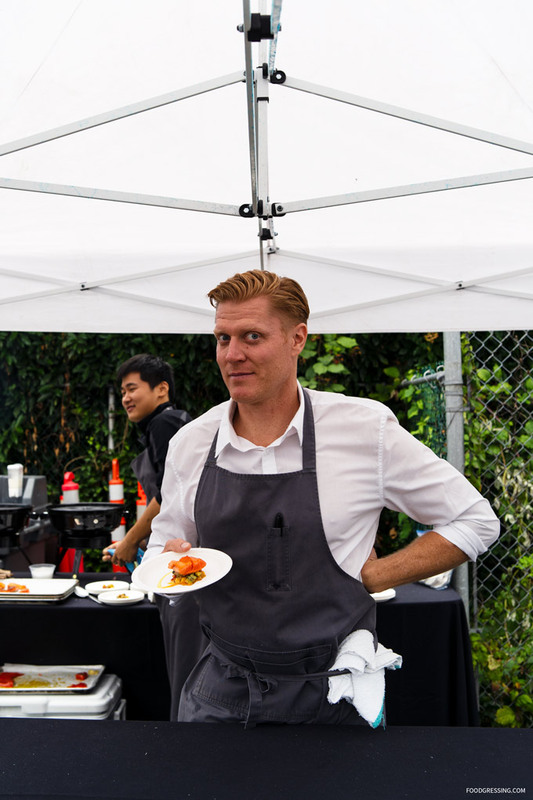 In collaboration with BC Salmon Marketing Council, the Chefs’ Table Society of British Columbia presented the second annual Wild Salmon Celebration event at the dockside of False Creek Fishermen’s Wharf this past Saturday. 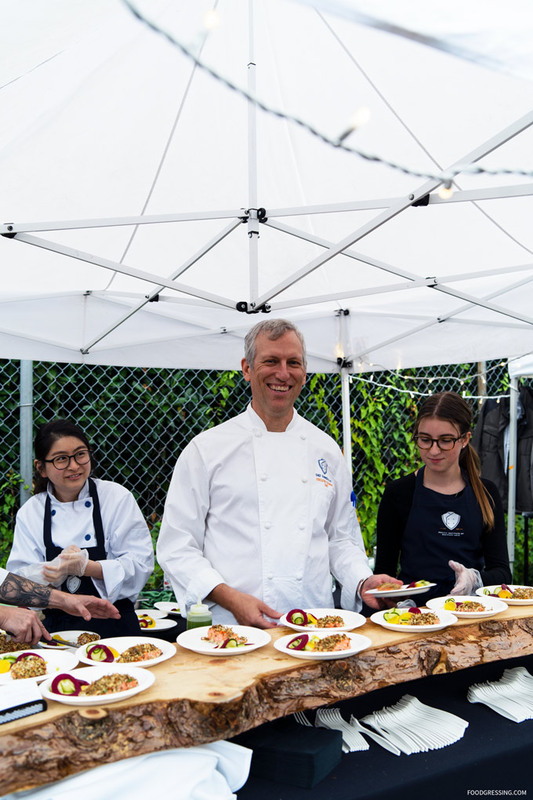 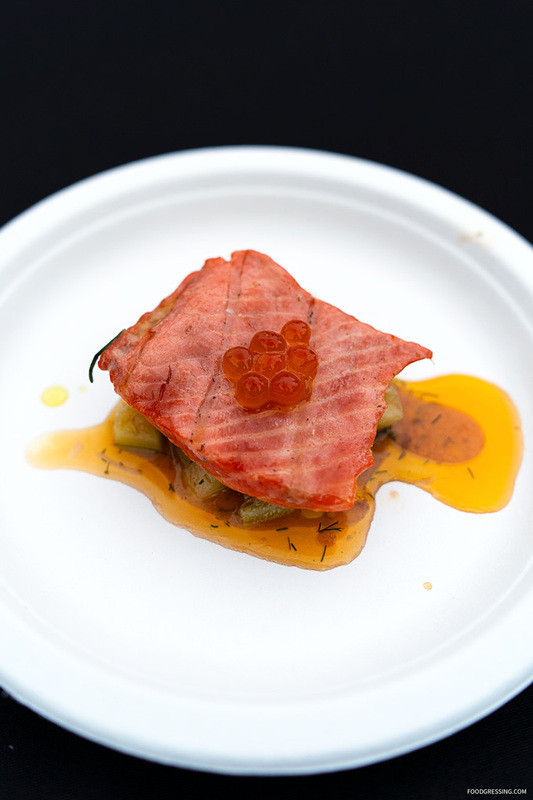 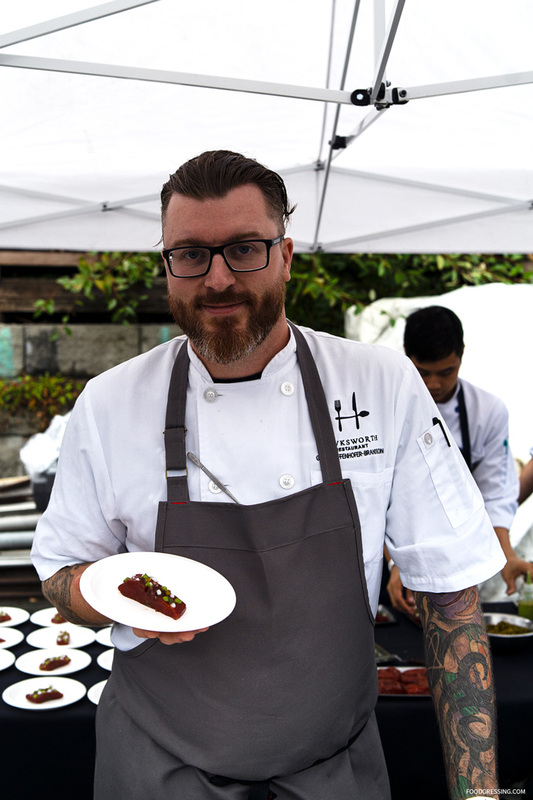 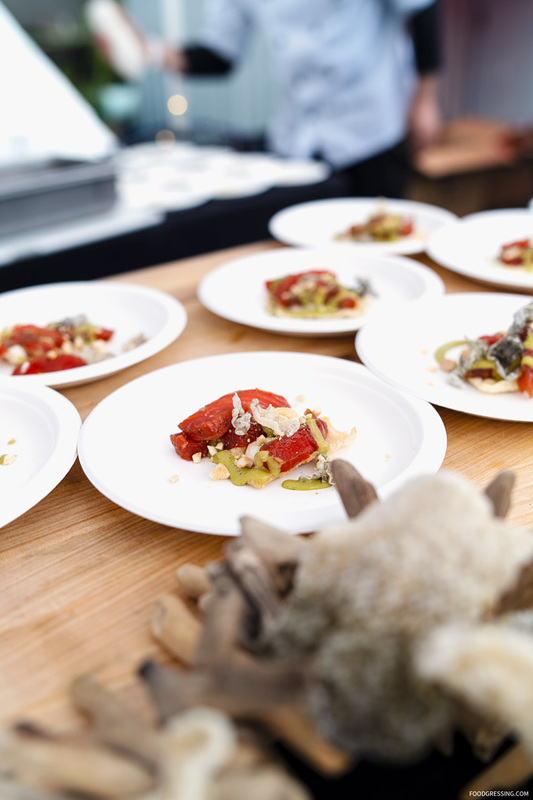 This year’s event featured well-known BC chefs who gathered to create delicious dishes using sustainable BC wild salmon donated by family-owned seafood supplier, Grand Hale. 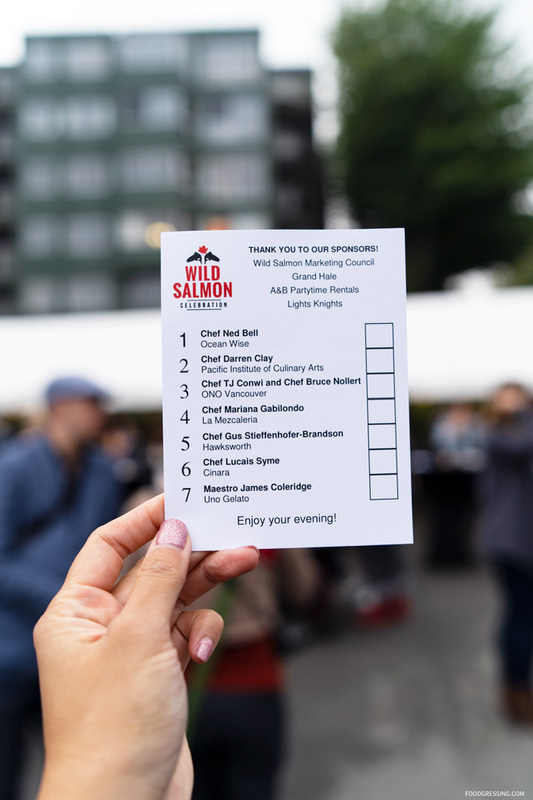 The Wild Salmon Celebration was a grazing event where guests enjoyed tasting size dishes, paired with BC wines, which showcased each chefs’ love of the ocean and unique culinary style. 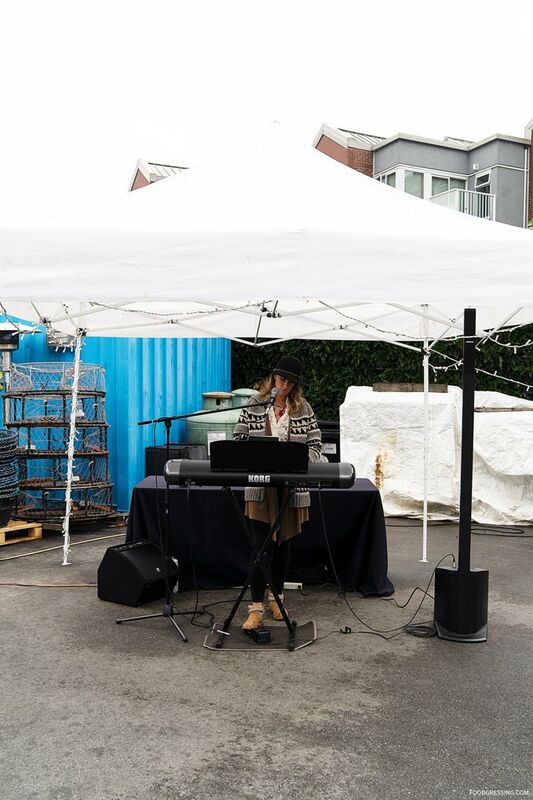 The elegant evening on the water was accompanied by live music from a local musician. 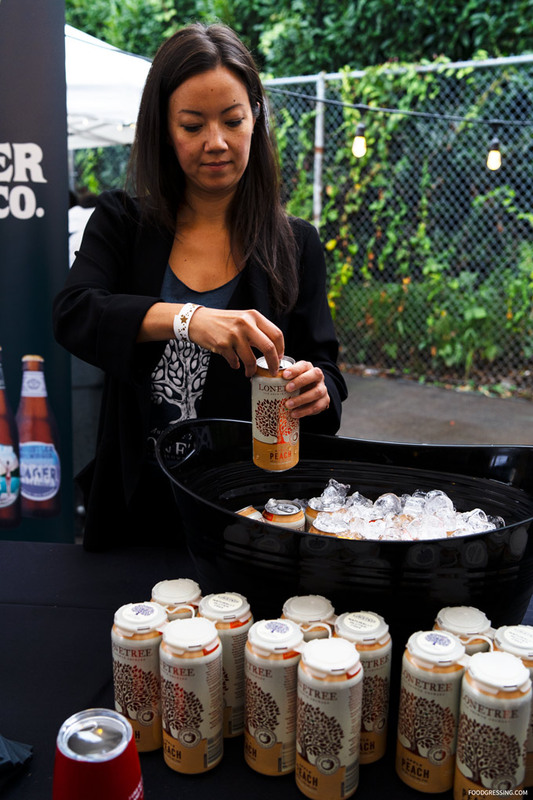 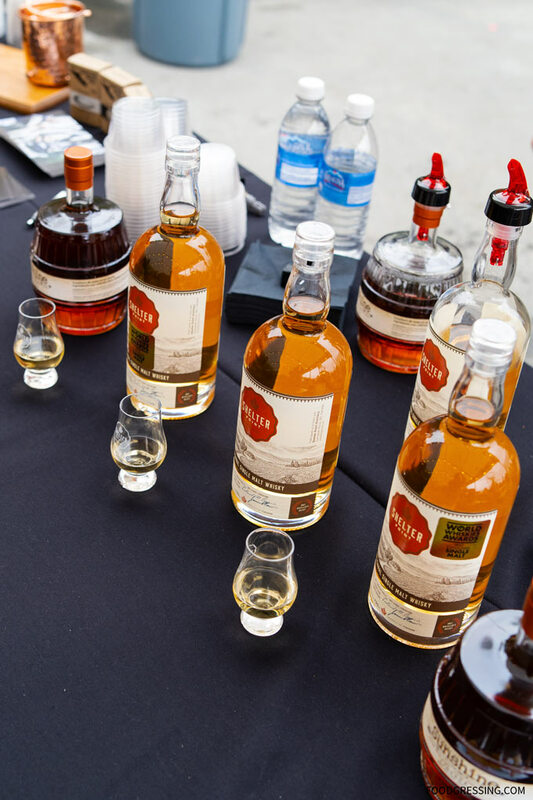 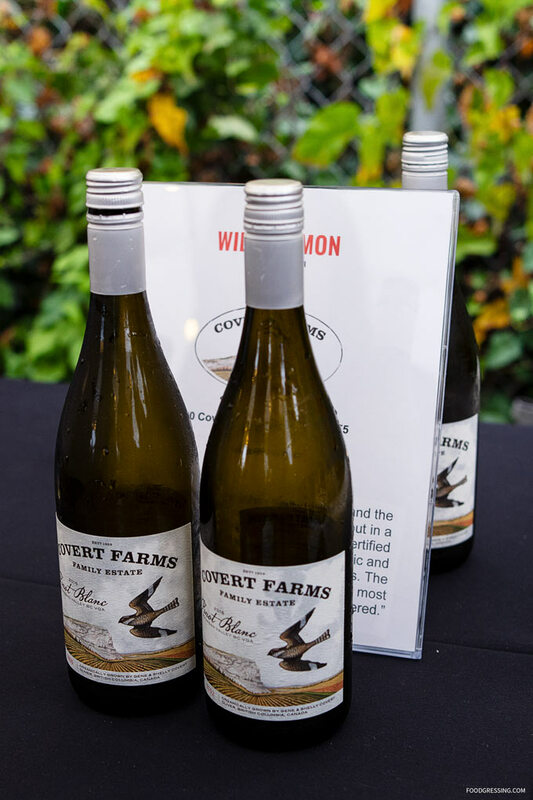 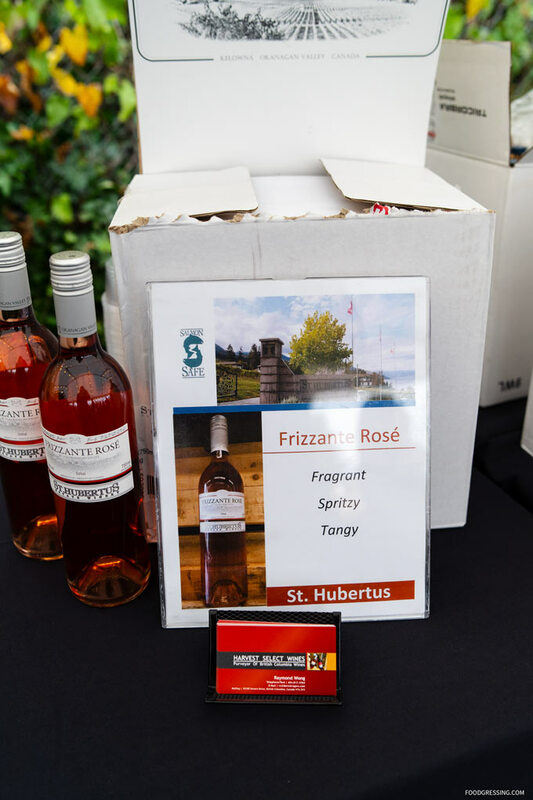 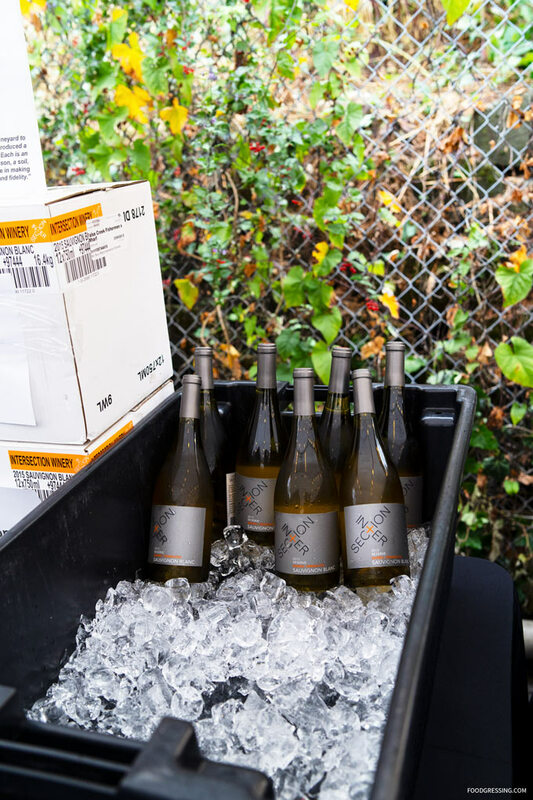 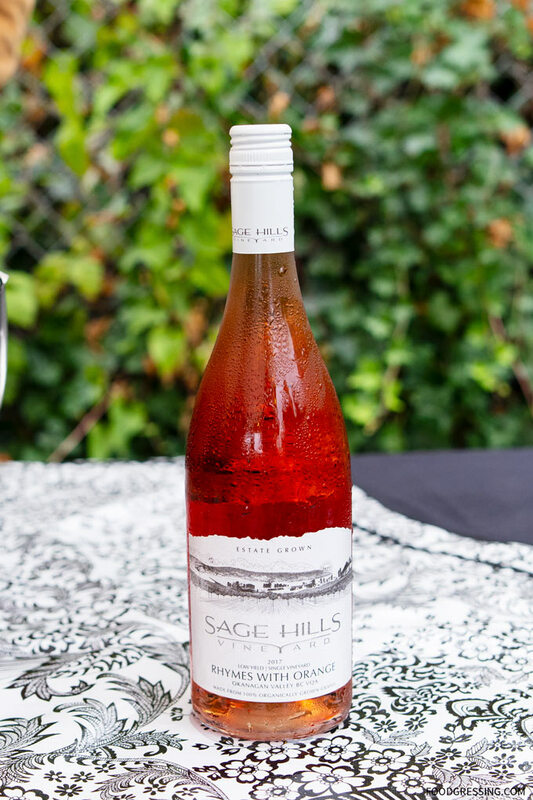 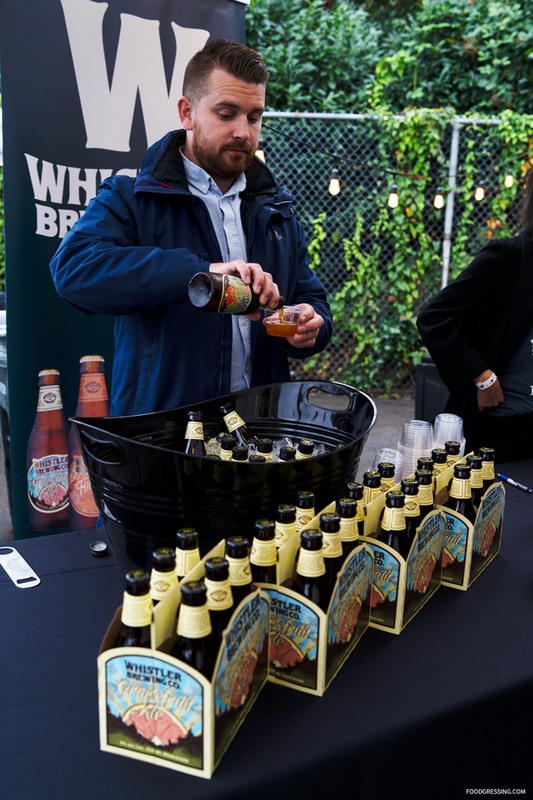 Wine and beer pairings were offered by Covert Farms Family Estate, Intersection Estate Winery, Sage Hills Estate Winery, St. Hubertus and Oak Bay Estate Winery, Tinhorn Creek Vineywards, VinAmite, Wisthler Beer/ Lonetree Cider and Shelter Point Distillery. 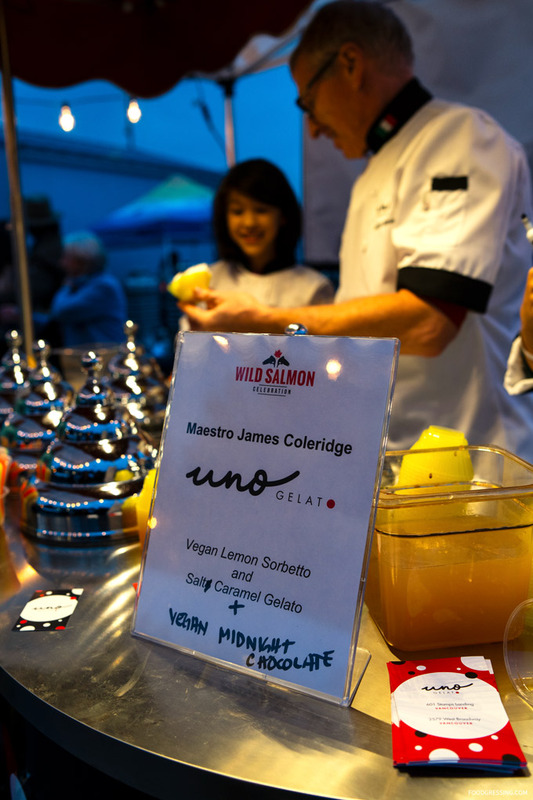 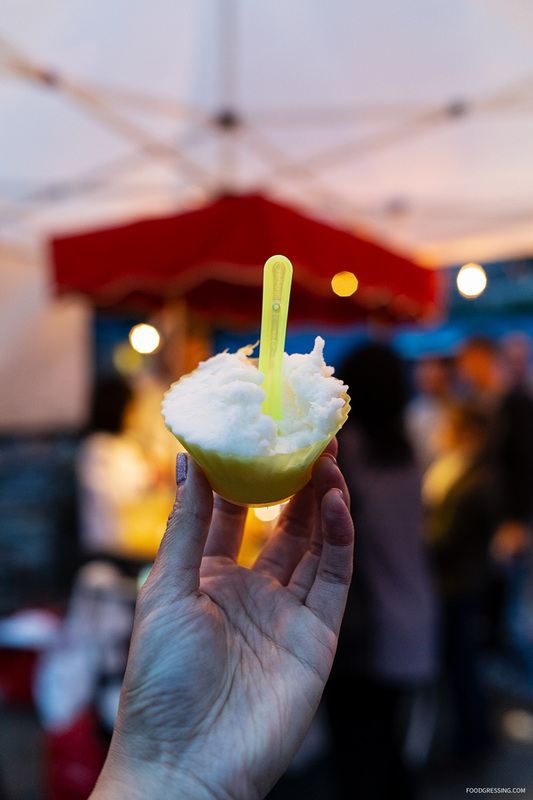 To finish off the evening, Uno Gelato provided dessert.